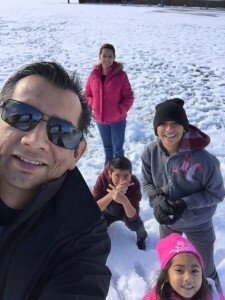 My name is Sam Rangel, and after 22 years in the classroom, I’ve spent the last 4 years as a school administrator. My other site, SuccessInTheClassroom.com is still out there offering advice to new teachers, but since I’m spending more time learning about how to be an effective leader, I’ve decided to make School Administration Mastery my new focus. I want to become a great educational leader. I want to be an administrator that people want to work for. To do this, I need to learn from great leaders. I need to read their books and blog posts. I need to constantly be looking for more and more sources of inspiration and knowledge. What I want to do with this blog is to share what I’m learning with others who are looking to be great educational leaders. I’ll be highlighting lessons I learn as I perform my duties at the school along with great advice I’m already finding online and in the books that I’m reading. I’m always looking for great resources and ideas to make my job a little easier and to help me increase the success of the students in my care, so feel free to add your comments. This is a photo of us having fun in the snow. My wife, Irene, my sons, Samuel and Mark and my daughter, Richelle. We live in Southern California, so snow is a pretty big deal for us.